Because composers rule, we’re starting a new tradition of publishing a post honoring a different composer each week. 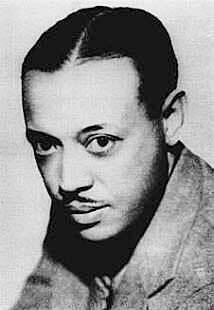 First up is William Grant Still, an African-American composer and Salon97 fan favorite! Academically, William Grant Still was recognized for his musical accomplishments many times over. He was awarded an Honorary Masters of Music degree from Wilberforce College in 1936, an honorary PhD in Music from Howard University in 1941, an honorary PhD in Music from Oberlin in 1947, an honorary Doctor of Letters degree from Bates College in 1954, and an honorary Doctor of Law degree from the University of Arkansas in 1971. Still’s music is lush, melodic, and thick with beautiful harmony. A composer dedicated to realizing the American experience in music, Still often used regions as subjects as he did when composing the opera Highway 1 and Pastorela, a tone poem inspired by California. The programmatic and melodic qualities of Still’s composition style make his music very approachable. Most likely due to the fact that he earned his living writing music for television and radio, many of his classical works sound as though they could be film scores. –Still’s favorite genre in which to compose was opera. His most famous operas at this time are Troubled Island, with a libretto by Langston Hughes, and Highway 1. The video below is the third movement of Still’s Afro-American Symphony, which harks to ragtime and big band music. Pure awesome. An awesome idea. Can’t wait for more. The Symphonies Nos. 4 and 5 of Still were released on Naxos 8.559603 (2009) and are worth hearing along with his earlier symphonies. Thanks, William! Love your site.